In 2008, liberals in America seemed mostly united by the triumphant and historic election of Barack Obama as the next president, a major departure from the Bush administration that had been in control of the country for eight years. By 2016, things had changed considerably, with Bernie Sanders as an antiestablishment alternative to Hillary Clinton within a fragmented Democratic party, and the election of Donald Trump as president only further solidified for many the need for change and a new wave of progressive thinkers to take on those whose lengthy terms in office were perceived to have produced little more than complacency. This documentary follows four women running for Congress in 2018, taking on candidates running for an easy reelection in their states’ Democratic primaries. Alexandria Ocasio-Cortez in New York, Amy Vilela in Nevada, Cori Bush in Missouri, and Paula Jean Swearengin in West Virginia all seek to unseat the official they see as making plenty of promises but delivering more fully on their support for the large corporations and interest groups that give them considerable funding. The specific challenges of their communities, including toxic pollution from industry and racial justice, may differ, but these bright-eyed candidates are looking to make history and truly effect change by staying true to their campaign ideals. 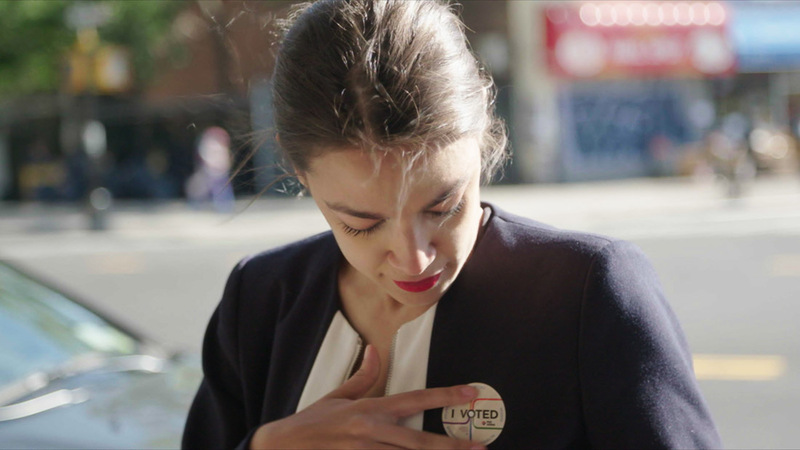 This film smartly selects four central figures who are emblems of the movement within the Democratic party to wake up and try something different, and they each make a great case for why their perspectives are crucial and should be considered. Following each of their campaigns as they head towards the primary with grassroots efforts and a personal touch is a worthwhile process, one that demonstrates the hard work necessary to finance a campaign and take down an immensely popular elected official who wouldn’t even usually have a same-party challenger. The most prominently-featured of these four is Ocasio-Cortez, who has been in the spotlight many times since she won her primary and then her seat, already working to change things in Washington with meaningful votes and revolutionary proposals on how to change the way the government operates. Their ideas may not actually all be practical, but this representation of their vision and their drive feels entirely true and honest. Based on this past election, this is only the beginning, and there are sure to be many other candidates like this, marking this as the informative and engaging first entry in a likely series of documentaries from any number of filmmakers about fresh faces looking to shake things up.